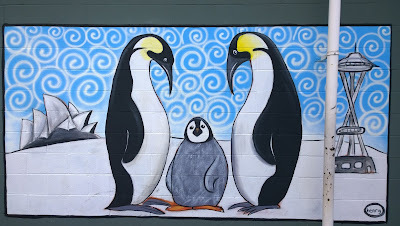 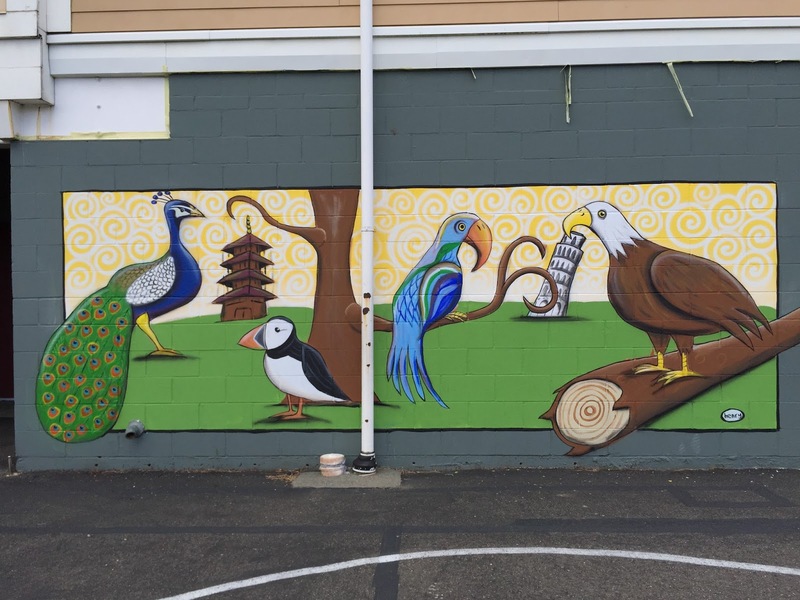 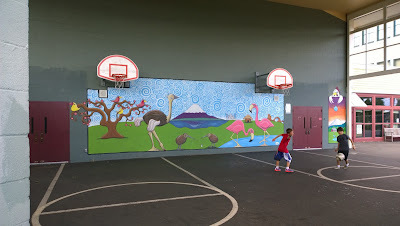 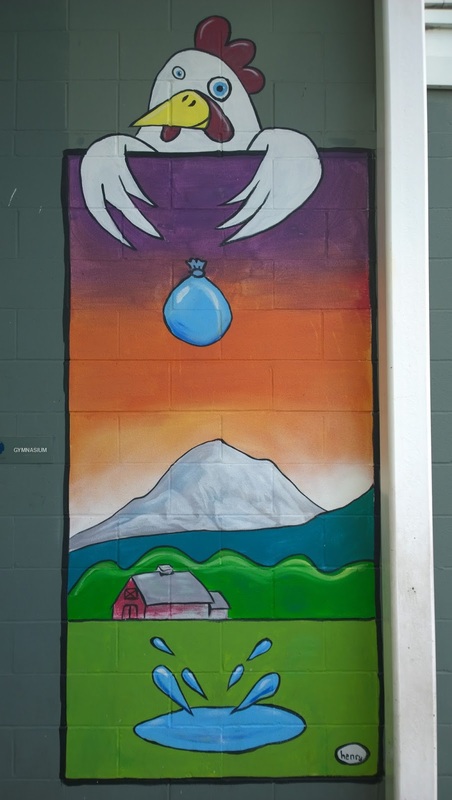 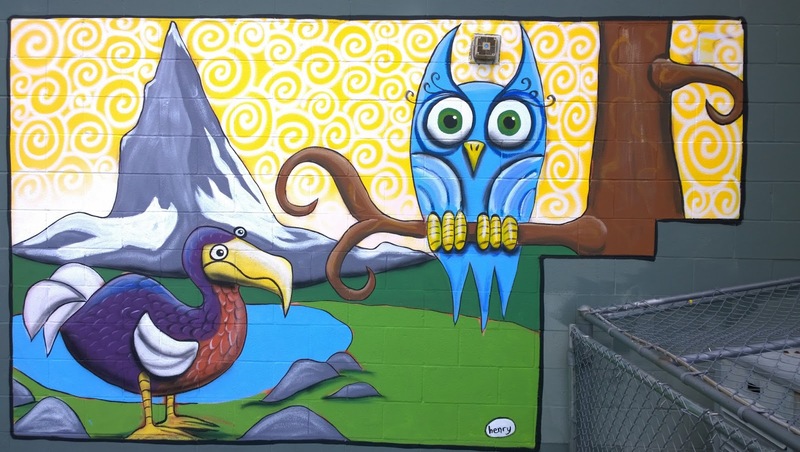 We stumbled across these Henry (ryanhenryward.com) murals at the John Stanford School International School. 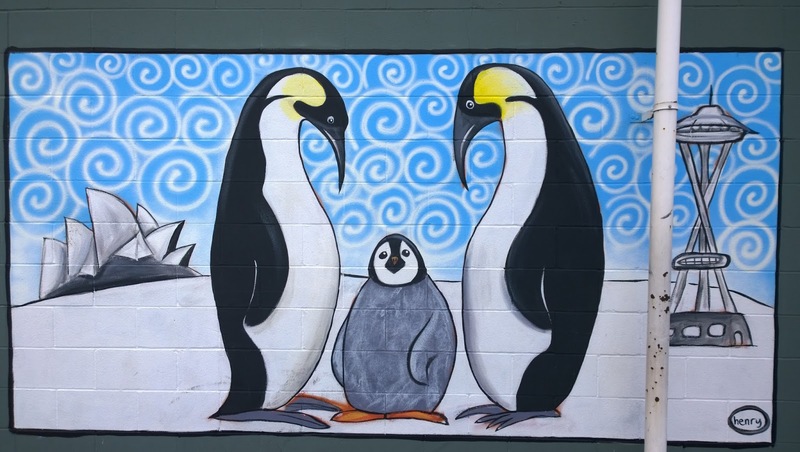 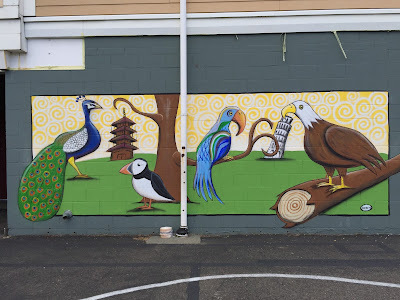 It's one of the places we pass by a lot but never stop to look, let alone wander around the playground, which we did and saw these murals. 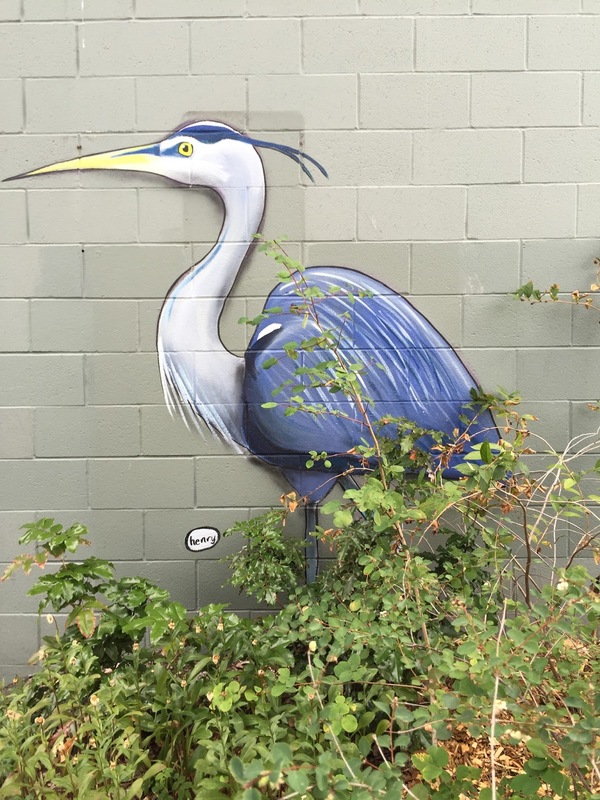 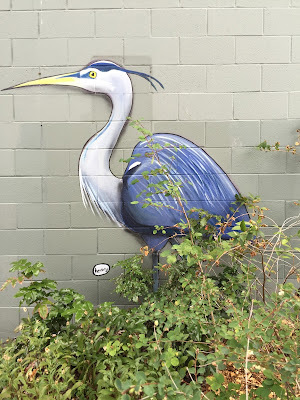 I like the blue heron, in particular. 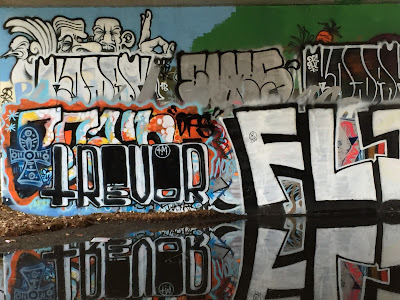 Nearby, under the campus parkway (last visited over 3 years ago - see Northeast Campus Parkway Murals), time and tags have taken their toll on what used to be interesting murals. 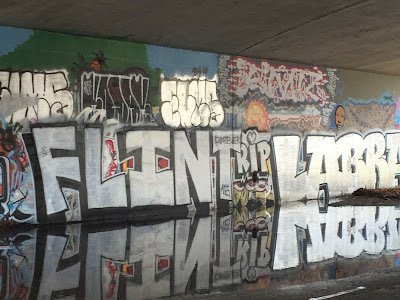 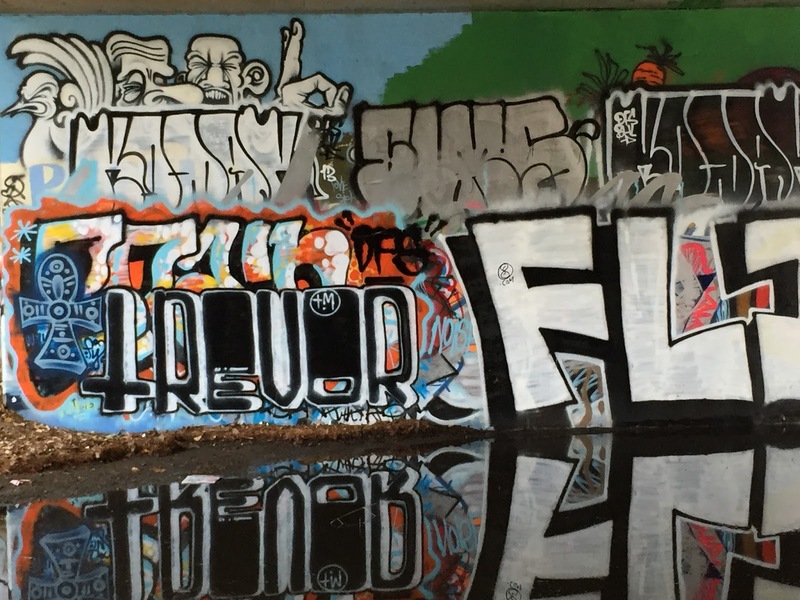 Here a reflection of the wall under the underpass. Left: Henry Mischievous Hen and Water Balloon; Center: Henry Blue Heron; Right: Henry Aviary from Peking to Pisa?